It was too good to be true. A pink snowball viburnum. The above photograph was originally a slide I took back in the 1990's, and is at the heart of a story I wish I could forget. Here's why: I had gone with the TV crew of A Gardener's Diary on HGTV to a huge wholesale nursery in Tennessee. Normally, we didn't do nurseries, but this one had all sorts of wonderful plants and many wild animals (camels, a zebra hybrid which was half solid and half striped, tapirs, giant donkeys from France that were extremely rare, and a terrifying ostrich named Tiny). Toward the end of the second day of shooting, the owner of the nursery showed us this plant - Viburnum plicatum 'Kern's Pink'. I almost fainted. 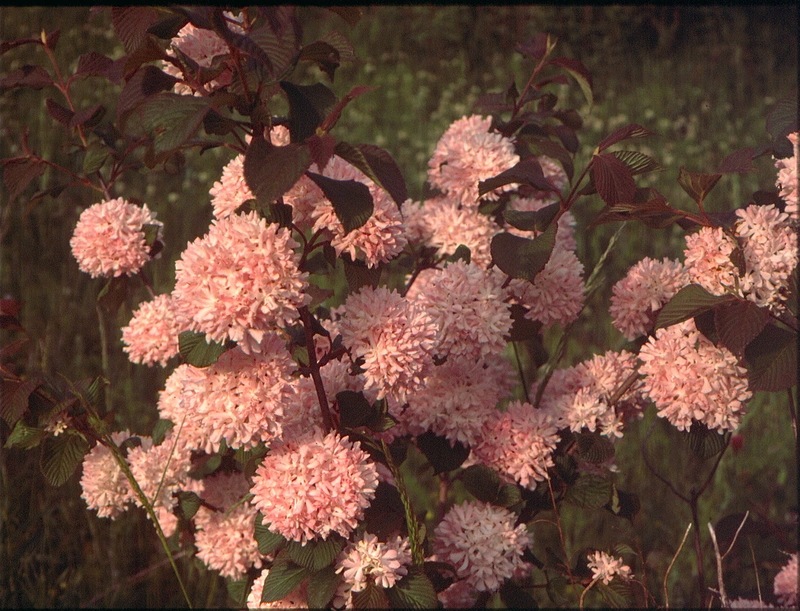 It was the pink version of a favorite white snowball viburnum. What's more, the foliage was a lovely bronzy color. We were all dying for it. The nursery owner explained to us that his father had obtained the viburnum from a nursery in Ohio. The original had been a sport on a plant with white flowers and green leaves. Where the pink flowers occurred, the foliage had turned a lovely bronze color. The nurseryman tested the plant for 20 years, hoping it would stabilize. What typically happened was that part of the plant would be white with green leaves, and the other section would have pink flowers with the bronze foliage. I would have been okay with that. Finally, the nursery owner proclaimed that the plant was for the most part stable and could be sold to the public. So, the following January (we had seen the plant in April), I wrote a column about a very unusual snowball viburnum that had pink flowers. The response was overwhelming. The retail outlet in Atlanta I had contacted had acquired dozens of plants ahead of time. They sold out within a couple of hours. I think that's when the trouble began. Other local nurseries tried to find the plant. A different wholesaler in Tennessee claimed to have 'Kern's Pink' and filled orders. However, it should have been called 'Kern's Gray'. The flowers that were produced were off-white, with a bloom that looked like it needed washing. There was a suggestion of pink, but not much of one. The flowers appeared to be grayish-brown and were very unsightly. People demanded their money back, and the original nursery obliged. They had also re-ordered from the second source. It had been a massive fiasco. Since that time, I've only come across one person who got a stable 'Kern's Pink' in the original batch. Hers had all pink flowers and the reddish-bronze foliage. A few years ago, when I acquired some plants for a sale at my church, the local wholesaler offered 'Kern's Pink'. I took a chance. The few we got in sold out quickly. A friend from my Sunday School class bought two. One has languished where he planted it, and the other has thrived. It has all pink flowers and the bronzy leaves. I looked on the Internet to see if the plant is available. Most of the pictures show flowers with the slightest tinge of pink. There is one nursery with a picture resembling the flowers pictured above. My conclusion is that this is still a gamble. One person I know who bought the plant in the 1990's gave up and cut down the shrub, which had become huge. Another friend was about to ax hers, and I talked her out of it. 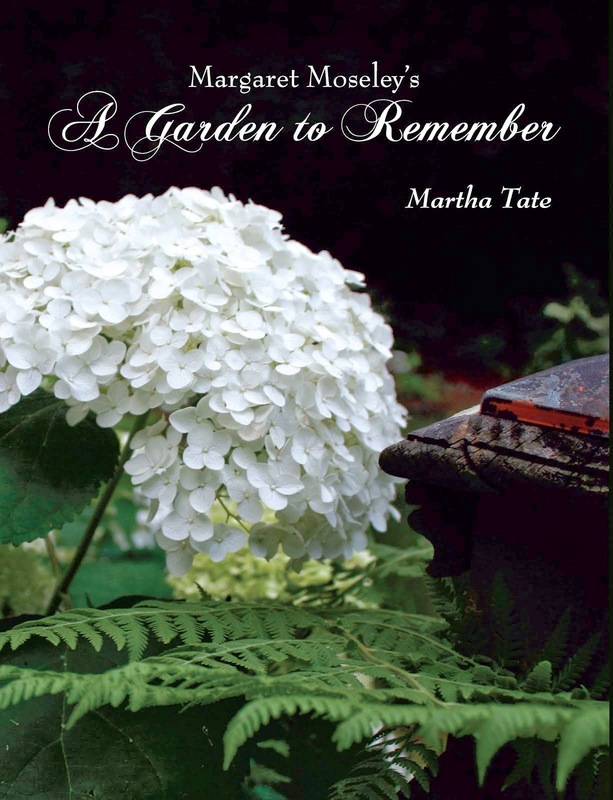 The flowers on her plant had turned back to pure white, and so the shrub was no longer unsightly. In fact, it was quite beautiful, but not at all what she had ordered.